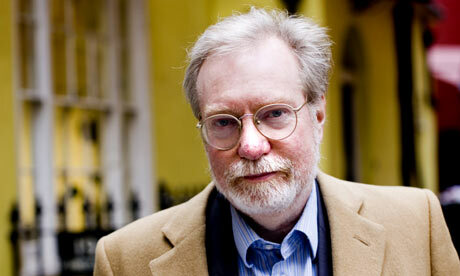 Dr. Paul Collier, Professor of Economics and Director of the Centre for the Study of African Economies at Oxford University. Dr. Collier’s research covers the causes and consequences of civil war; the effects of aid; and the problems of democracy in low-income and natural-resource rich societies. His book, “The Bottom Billion,” won several distinguished awards. In 2010, he published “The Plundered Planet: Why We Must – and How We Can – Manage Nature for Global Prosperity.” Collier is currerntly advisor to the Strategy and Policy Department of the International Monetary Fund and advisor to the Africa Region of the World Bank. He is interviewed here by PSI President and CEO Karl Hofmann. Dr. Margaret Chan. Director-General of the World Health Organization (WHO). Dr. Margaret Chan is the director-general of the World Health Organization (WHO), appointed by the World Health Assembly in November 2006. Before her appointment, Dr. Chan was WHO assistant director-general for Communicable Diseases and representative of the director-general for Pandemic Influenza. She also served as director of Health in Hong Kong for nine years where she successfully defeated the spate of severe acute respiratory syndrome in 2003. Dr. Chan shares her thoughts with Dr. Jane Miller, PSI malaria and child survival technical adviser in Tanzania. Dr. Miller has developed and launched campaigns and home treatment kits for mosquito nets, mobilized communities to receive and use nets, and established relationships among public and private sector malaria partners. She has carried out technical assistance in 16 other countries for PSI. Dr. Miller recently received one of the most distinguished U.K honors for her work – the Order of the British Empire. Oladele A kogun, PhD, MPH. Professor of public health parasitology and Coordinator, Centre for Research and Development at the Federal University of Technology, Yola, Nigeria. Dr. Akogun has taught public health, parasitology and research methodology for 22 years. He has collaborated with the UNICEF/UNDP/World Bank/WHO Special Programme for Research and training in Tropical Diseases (TDR) with a main research focus on the development of community-driven delivery systems. (Dr. Akogun has been an active team member in projects that pioneered the systematic survey of onchocerciasis in Northeastern Nigeria and developed the community-directed treatment with ivermectin (ComDT), adopted by the African Programme for Onchocerciasis Control (APOC). He has led monitoring and evaluation missions to several community-directed treatment with ivermectin (CDTI) projects in African countries and served as consultant to WHO/African regional office. Professor Akogun’s research aims to increasing health-care access of poor rural populations and communities. He has published more than fifty articles in journals and bibliographies as well as a textbook on research methodology. Abhay Bang, MD, MPH. Director of Society for Education, Action and Research in Community Health (SEARCH), India. Raised in Mahatma Gandhi’s ashram at Sevagram, India, Dr. Ahbay Bang pursued a medical career and completed his training with three gold medals. After receiving a degree in public health at the Johns Hopkins University, in Baltimore, Maryland, Dr. Bang returned to India in 1984 to a remote district, Gadchiroli, where he started a new organization, SEARCH. Through SEARCH, Dr. Bang and his wife, Dr. Rani Bang, provide medical care and conduct research in 100 villages to improve the health of women and children. Their grassroots studies have repeatedly broken new ground and pioneered international trends, including a new approach, home-based newborn and child care, which has been successfully implemented in several countries and five Indian states. Dr. Bang and his organization have received numerous awards, including the ‘Maharashtra Bhushan,’ – the highest state award, and a national award from the Indian Council of Medical Research. He has been honored by Save the Children US, for his contribution to global neonatal health, by the MacArthur Foundation in 2006, and together with his wife, Dr. Bang was featured in Time magazine as “Global Health Heroes” in 2005. His research was also chosen as one of the ‘milestone’ papers published in the Lancet. Dr. Jane Kengeya-Kayondo, a Ugandan National, is the Coordinator of Strategic Alliances for the Special Programme for Research and Training in Tropical Disease, World Health Organization. A medical doctor with specialization in public health and epidemiology, Dr. Kengeya-Kayondo was a leading researcher on HIV/AIDS in Uganda before she joined WHO. In WHO, she has served in several capacities including: Coordinator of Implementation Research and Senior Policy Analyst to the Director General of WHO. In the malaria global effort, Dr. Kengeya-Kayondo has been instrumental in providing the evidence that led to the Malaria Community and Home Management Strategy, unit dosage packaging and labeling of effective antimalarial drugs, and on malaria research capacity strengthening in Africa.